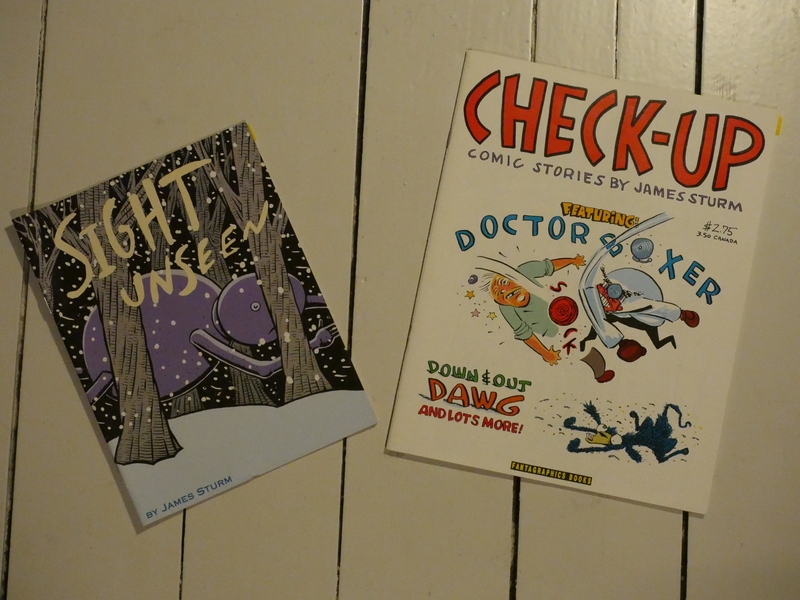 Check-Up #1, Sight Unseen by James Sturm. 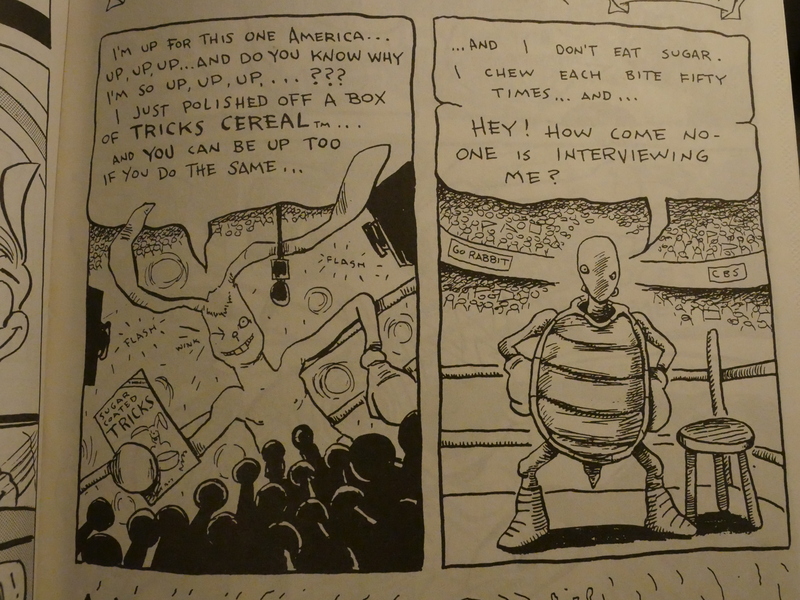 We last saw James Sturm just a few days ago in this blog series with his Cereal Killings comic book. 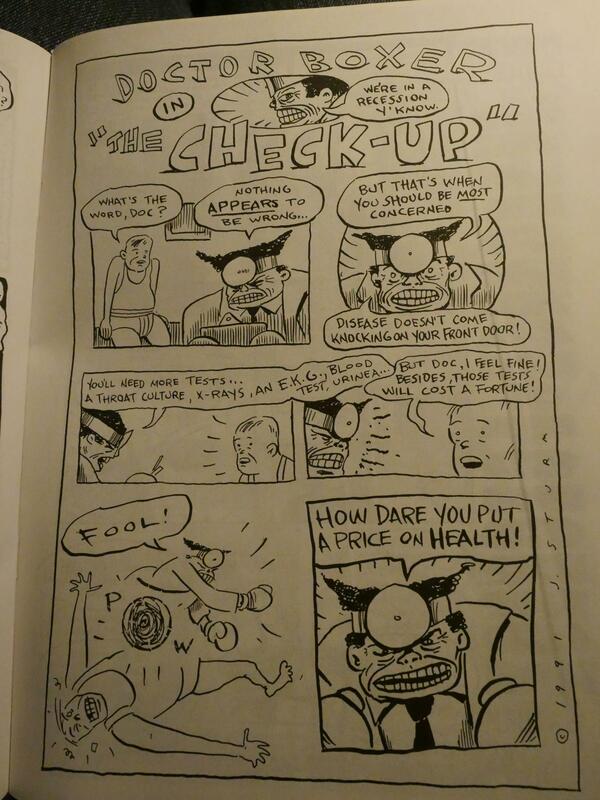 Check-Up seem to be going for a classic Fantagraphics single author anthology vibe: It’s even published in magazine size, just like Neat Stuff and Lloyd Llewellyn. Most of all, it’s just not that funny. 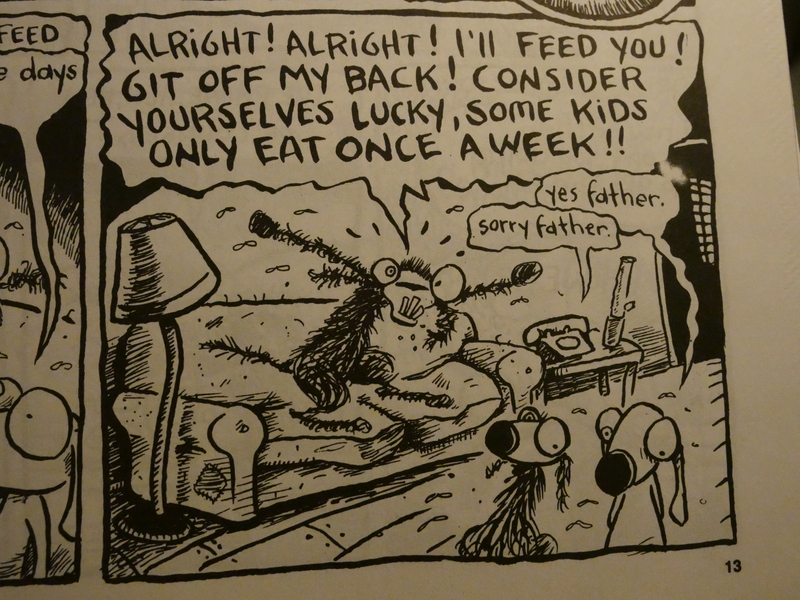 I mean, I look at that panel, and the father (on the couch) has a pleasingly deranged face, but the humour seems so forced. I dunno. I’m just not seeing it. That the artwork is so basic doesn’t help. That’s a pretty weak parody of a fight scene. 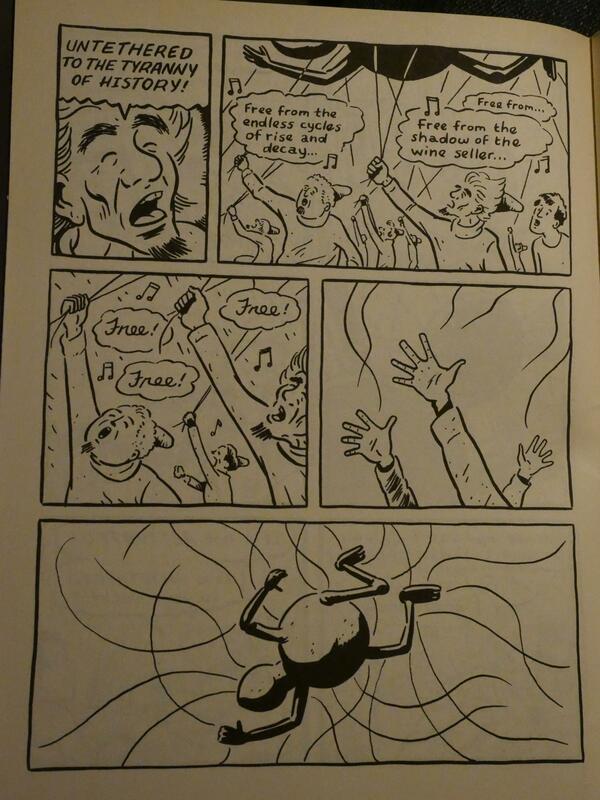 Sight Unseen was published in 1997, and is a collection of strips originally published in The Stranger. 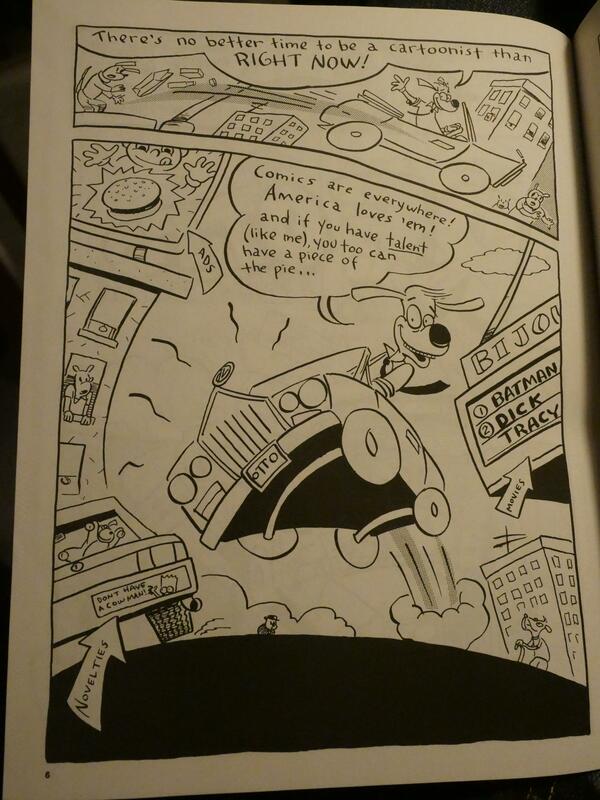 The Fantagraphics edition is slightly smaller than a standard American comic book. … what with the visit to his high school and all. But it’s not really convincing as a dream. It has too much logic and the plot, as it is, has a conclusion, if not entirely satisfactory. The story has a very improvisational feel to it. Or perhaps a more half-assed feel to it. Or perhaps I’m just extra cranky today.